The only thing missing from these hybrid vehicles are some hybrid tires, tires that help the environment as much as the cars do. Sure, there are low-resistance tires that are specific to hybrids, but these tires aren’t hybrid in and of themselves and actually don’t perform very well. One way to get hybrid tires is to make them yourself with nitrogen tire inflation. By putting nitrogen in your tires instead of regular air, you extend the life of the tire (meaning less tires in landfills) and improve your fuel efficiency (meaning less use of fossil fuels and a smaller carbon footprint). Nitrogen tire inflation is something that’s already being used by NASCAR, the airline industry, and the military, so it’s not at all a new concept or a new technology. The new part about it is that more and more consumer drivers are putting nitrogen in their tires. And why not? Studies show that it’s a good practice for tire maintenance in the long run. If you want inflate your tires with nitrogen, then a good brand is Nitrofleet99, which serves the consumer market in many locations across the country. So, what do you say? If you’re driving a hybrid vehicle, why not drive it on hybrid tires as well? The benefits of inflating your tires with nitrogen have been documented, and the practice is already in use by NASCAR, the airline industry, and the military. But, can motorcycle riders see the same benefits of nitrogen tire inflation as these big industries? The answer is “Yes!” We at Nitrofleet99 recommend the use of nitrogen for all tires, including motorcycles, due to its benefits of extended tire life, better pressure retention, and thus improved fuel economy and more reliable handling. Tires should be filled with nitrogen to the same pressure that is recommended by the manufacturer for air. Watch the video to learn more. With the summer travel season in full swing, it’s also recommended that motorcycle riders take extra safety precautions by having an inspection of their vehicle. 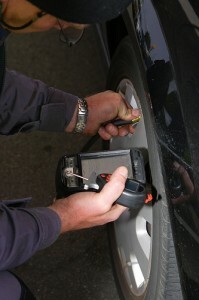 This inspection should include checking the tire pressure and the tire conditions. At the inspection is the best time to try nitrogen tire inflation, topping off those tires to make them safer for the summer rides ahead. Make sure to check your tire pressure on a regular basis. An easy way to save money with the tough economic times and the rising gas prices is to take proper care of your vehicle. By keeping up with maintenance checks, your car will not only last longer but will also cost less in repairs and upkeep in the long run. 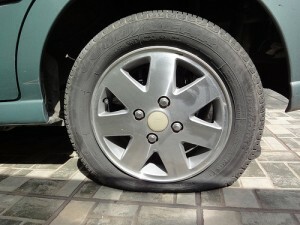 One aspect of car care that cannot be forgotten is proper tire maintenance. This means rotating your tires every 6,000 miles, and checking your tire pressure every other time you fill up at the gas station. About 54 percent of Americans drive on under-inflated tires. Under-inflated tires can lower gas mileage by 0.3% for every one psi, or pound per square inch, drop in all four tires. The Department of Energy estimates that 3.56 million gallons of gas are wasted each day because of incorrectly inflated tires and advises motorists that they can improve gas mileage by approximately 3.3% by keeping tires inflated to the proper pressure. The main reason why motorists save money by maintaining proper tire inflation is because tires that wear evenly last longer before needing repair or replacement. Because a typical tire may also lose 1 to 2 psi a month if not checked and adjusted, uninformed motorists may be heading faster toward tire replacement than necessary. One way to stop this decline toward tire replacement is to keep your tires properly inflated longer with nitrogen tire inflation. Just top off your tires with nitrogen next time you are at the service station, or even the next time you check you tire pressure, and you’ll notice a difference. Nitrogen permeates tire walls up to 4 times slower than air, so with nitrogen, you’ll see the same 1 to 2 psi loss in pressure over a period of six months, instead of the regular one month with regular air. Therefore, you save money on overall car maintenance, because that’s fewer times you have to replace them or get them filled. It’s still recommended to do your scheduled maintenance checks and tire rotations, but you’ll have safer, more fuel-efficient tires. If needing an excuse to get to the mechanic or service station, now is as good a time as any for a checkup, since the summer travel season is just getting started. Getting your car ready for warm-weather driving should start with having the service department check the vehicle to look for specific problems, including safety issues, that may need to be corrected. It’s also a good time for maintenance, such as an oil change. A tire gauge is just one of many tools that a woman can use to keep her tire pressure in check. Women are becoming a huge part of the automobile market. In the United States, women buy 68 percent of new cars and 65 percent of new tires. Sixty-five percent of women take their own vehicles to a repair shop for service, although, some repair industry experts estimate that the average may actually be closer to 80 percent. With all this in mind, it’s only fair, and good business, to include women in on information regarding proper vehicle maintenance. Checking your tire pressure to make sure that the tires are inflated properly is one of those key aspects of proper vehicle maintenance. Investing just a few minutes on a regular basis in performing this simple task can increase your road safety, lengthen the life of your tires and significantly improve your fuel efficiency. Sure, you can get this done when you visit the repair shop, or taking the time to invest those extra few minutes. But, there’s a way to keep them properly inflated that would require less time and less checking: nitrogen tire inflation. Nitrogen tire inflation is an excellent choice for busy women who don’t have the time to visit the repair shop, or are swamped enough with all the other things that need to be done that asking for a few extra minutes is a tough ask. Studies have found that a tire filled with nitrogen stays at the proper tire pressure three to four times longer than regular air, meaning you can worry less about your tires. You also don’t have to remove all the air from the tire before using nitrogen, so simply top off your tires with nitrogen when you do visit the repair shop (if your repair shop offers the service), and you’ll be on your way. Proper tire pressure is also the SINGLE most important factor to increasing tire life, so nitrogen tire inflation saves time and money in the long run. What a deal! According to Women’s Health, only one percent of women check their tire pressure before a long trip, increasing the chance that we girls get in an accident in our last attempt to celebrate the summer. If you are planning a road trip this summer, then now is as good a time as any to check your tire pressure and try nitrogen tire inflation for the first time. 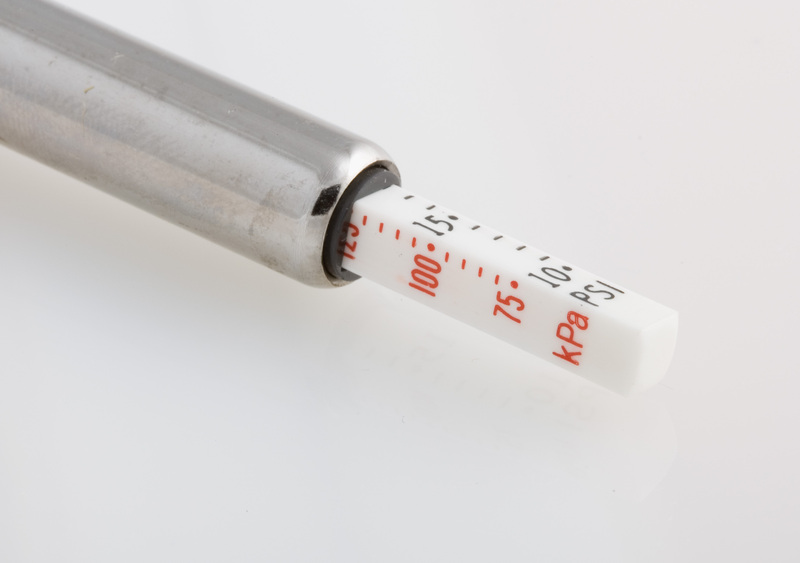 For more information about inflating your tires with nitrogen, check out Nitrofleet99.